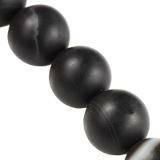 Semi precious stones and Gemstone beads belong to the group of the most popular beads in our offer. Bracelets made of these stones are easy to make, even for beginners. We sale semi precious gemstones. What are semi-precious stones (the word ''gemstones'' refers also to rare stones such as diamonds or pearls)? These are natural stones of lesser durability and hardness than precious stones, but still amazing because of their colours and shapes. Agates, amethysts, jades, jaspers, rhinestones, turquoises and many other jewellery stones are available in our offer to help you to create some jewellery which can delight everyone. 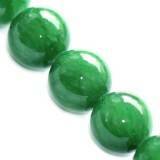 We sell gemstones beads in many colours, shapes, and sizes, in small and big packets. In our bead shop, you will find natural and human made semi-precious gemstone beads, geometric shapes of balls and squares as well as stones in fancy shapes of flowers and hearts. Our semi-precious stones will be ideal for your work no matter if you prefer delicate accessories or big forms in jewellery. 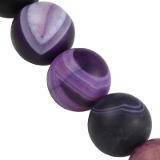 Gemstone beads, semi-precious stones. 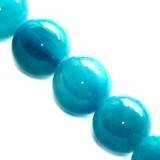 Please check our bead store right now. 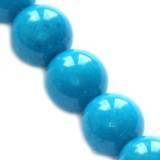 There are many types of semi precious gemstone beads, we sale all kind of them natural and man made. Some of them are from Brazil, Peru, China, some of the stones are dyed. You can buy them on pcs in retail bags, or on strings in wholesale prices in a bulk bag. Semi precious beads are great to create jewellery you usually join them with jewellery findings such as sterling silver findings which create elegant and exclusive effect. 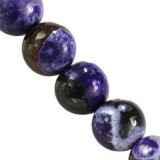 Now are very popular bracelets made from agate, jade, onyx semi precious stone. Semi precious stones for jewellery making in our bead shop are great quality and most of them are natural gemstones. 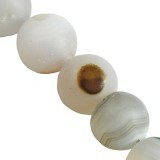 We offer thousands of semi-precious gemstone beads. We sale natural stones, synthetic stones. We sale the most popular stone for jewellery making. In our beads shop UK you can buy in wholesale or in retails bags. Wholesale prices are cheaper, also you can have discount from the turnover or size of the order. Semi-precious stones, jewels create with passion! Jewelery stones for jewelry making are a great choice used for handicrafts. We combine them with semi-finished products to create jewelry. Now you can create necklaces, bracelets, earrings made of natural stones and decorative stones. 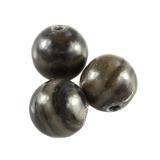 Jewelry stones have different shapes, they can be round, matt, polished or colored. Natural stones unique beauty to create jewelry. Natural and reconstructed stones are popular and unique. The most popular among them are turquoise, agate, jade, onyx, tiger eye. Natural stones for making jewelry are imported from around the world and each of them has a different story. Stones with slightly lower hardness and durability are called semi-precious stones or decorative stones. These include jasper, agate, malachite and lapis lazuli, onyx, turquoise, pomegranate, amazonite, nephrite, jade. Buy our beads in retail and wholesale packs. What is the difference between a precious & a semi precious stones? A precious stone and a semi-precious stone are both classifications of gemstones. Precious stones are like diamond, citirine, grante, rubbies. The most popular semi-precious stones in our offer are agate, onyx, carnelian, amazonite, fluorite, garnet, jade, malachite, turquoise. Non-mineral ones include coral, lava and marble. 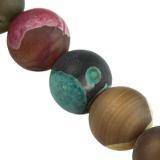 Semi-precious stone beads are usually less harder and more soft. Jewelery stones are of organic origin, but sometimes there are stones reconstituted or artificially dyed by man. With each stone there is a detailed description of whether a given stone is natural or artificial. 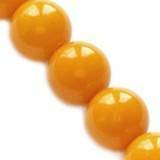 Maxbeads.co.uk is the largest wholesaler of natural and semi-precious stones for making jewelry. Thanks to the wide range of decorative stones in our store, you can easily create jewelry with an individual character, while the limits are set only by your imagination. The assortment contains decorative stones in a wide range of colors and shapes. Natural stones blend perfectly with semi-finished products for making silver jewelry. Semi-precious stones from our store is an offer for people who like creating unique handmade items. Thanks to the stones and accessories necessary to make jewelry, you can create decorations such as earrings, necklaces, bracelets or beautiful diy pendants. Decorative stones are an offer for amateurs, avid hobbyists and professionals, professional jewelers, in the field of jewelry design. Passion is a very important element of life, apart from professional work and family. The offer of decorative stones, accessories for jewelry making and jewelry tools is the possibility of hand-made jewelery design both at home and in a specialized workshop. Stones are a very grateful material that can easily be combined into various combinations. Thanks to the huge assortment, it is easy to create beautiful sets, eg cohesive in terms of the type of stones and their color, harmonizing with a specific dress or blouse, and with the mood of the person who puts on such jewelry. Among our jewels you will find the most popular and popular stones. Like turquoise, amethyst or mountain crystal. 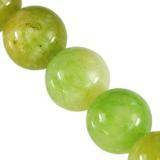 Our Customers are also eager to reach for agates, jaspers, jade. Jewelry stones are perfectly combined with good quality jewellery findings. In addition to jewellery finidngs, we especially recommend stainless steel findings 316 or sterling silver findings. 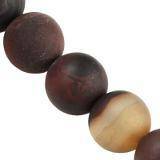 Stones match well with glass beads, such as Toho beads or other beautiful products for making jewelry from around the world.